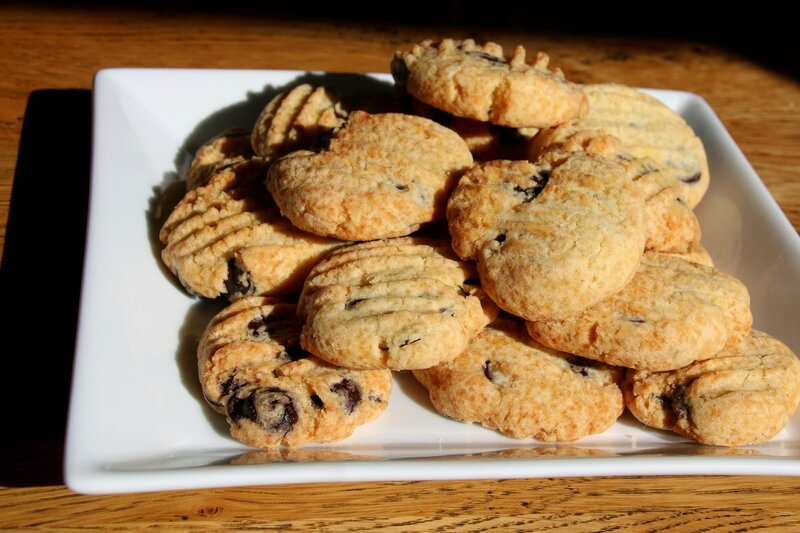 If you are trying to reduce your sugar intake and still want the occasional sweet treat, then try these Vanilla Choc Chip Cookies. 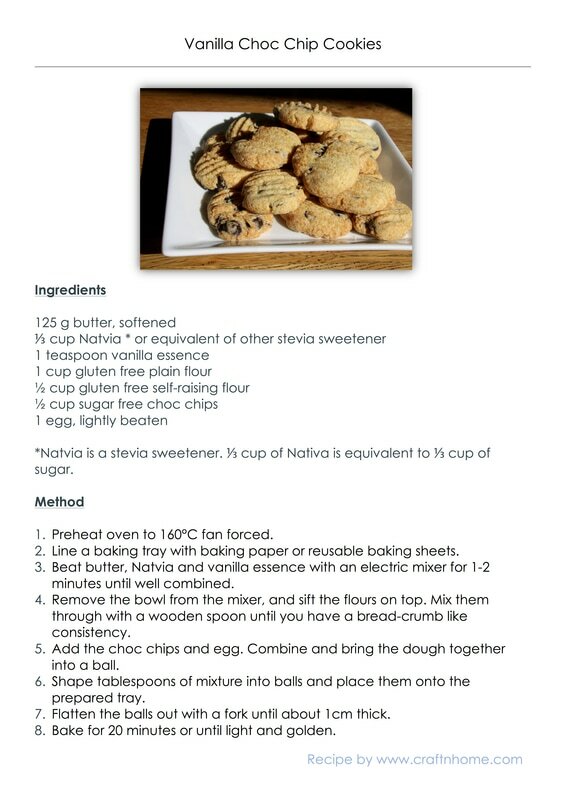 *Natvia is a stevia-based sweetener. ⅓ cup of Nativa is equivalent to ⅓ cup of sugar. There are lots of different alternatives available. **I like to use "Well Naturally" brand, No Sugar Dark Chocolate Melts. They use stevia as the sweetener in this chocolate. Line a baking tray with baking paper or reusable baking sheets. Beat butter, Natvia and vanilla essence with an electric mixer for 1-2 minutes until well combined. Remove the bowl from the mixer, and sift the flours on top. Mix them through with a wooden spoon until you have a bread-crumb like consistency. Add the choc chips and egg. Combine and bring the dough together into a ball. Shape tablespoons of mixture into balls and place them onto the prepared tray. Flatten the balls out with a fork until about 1cm thick. Bake for 20 minutes or until light and golden.